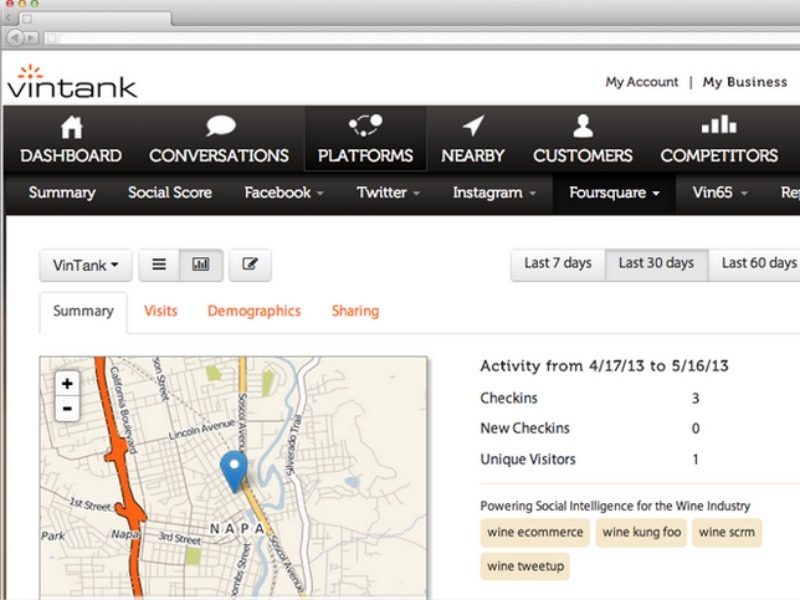 SAN FRANCISCO — W2O has snapped up VinTank, a combination social media monitoring, social media management and social CRM platform developed first for the wine industry. The deal will incorporate VinTank's platform into W2O's existing suite of services and software designed to "reach the 1% who create content and the 9% who share it," W2O CEO Jim Weiss said in a statement. VinTank co-founders Paul Mabray and James Jory evolved VinTank from a data collection service for generating analyst reports into a marketing service in 2011. Since then, the platform has built profiles for consumers, until recently, primarily for the wine sector. The profiles aggregate geo-data, social media content and other available information to assign each person a score. The software was profiled in Robert Scoble and Shel Israel’s recent book Age of Context: Mobile, Sensors, Data and the Future of Privacy for having built a database of more than 19.5 million profiles based on people revealing their wine tastes on social media. Since then, VinTank has focused on building a “geofence” around every major wine region in California that alerts wineries when an upmarket prospect is driving, staying or dining in the vicinity so that wineries can send personalized outreach to the prospect. W2O plans to deploy the software to industries beyond wine and hospitality. In a company statement, W2O says that VinTank "will be a key critical piece of the W2O software S²aaS suite, which enhances and enables service excellence." Mabray and Jory will now join W2O's product team with the task of bridging the gap between audience identification and engagement. While it will continue its focus on the wine industry, VinTank will be rebranded to serve other sectors.